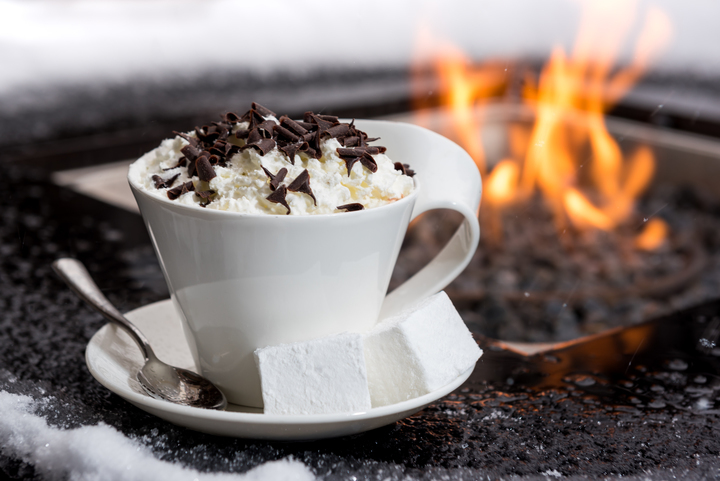 The Nell’s Hot Chocolate is the perfect treat this holiday season. Hailed by Travel + Leisure as “America’s Best Hot Chocolate,” by Buzzfeed as “Best Hot Chocolate Ever,” and tastemakers of all ages as their go to drink at The Nell, our cocoa has made waves for quite some time and in every season. Pastry Chef Curtis Cameron and his team create this concoction daily – sometimes upwards of 150 in a single day between orders in the dining room, living room, on the patio, via room service and taking to go. Made with Valrhona’s single origin chocolate, cocoa powder, half-and-half, granulated sugar and a pinch of salt, this decadent recipe can be “Supersized” with Amaretto, Bailey’s, Frangelico, Kahlua or your favorite coffee liqueur. COMMENTS ON "The Best Hot Chocolate Recipe Ever"